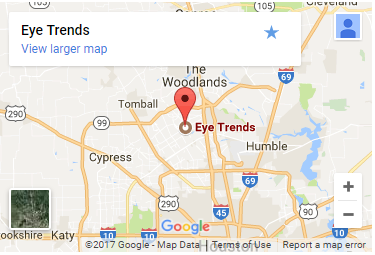 Book an eye exam, today! 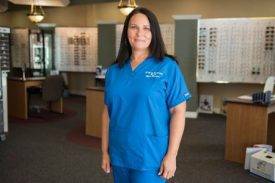 Whether you are looking for a comprehensive eye exam, new glasses or contacts, our Spring office is ready to serve you! PAY ONLINE - ULTRA CONVENIENT! We don’t want you to spend precious minutes waiting around to pay! Use our online payment service to save time. Our eye doctors provide urgent eye care for eye emergencies, such as infections, scratches, injuries, and foreign object removal. Stop by anytime for treatment. We are committed to giving you an efficient eye care experience. Access all personal records conveniently via your patient portal. 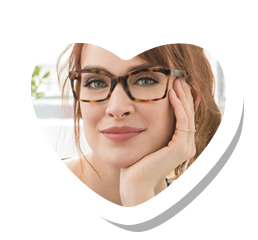 We handpick our eyeglasses selection to satisfy every style, visual need, and budget. Shop our trending designer frames to choose your new look! 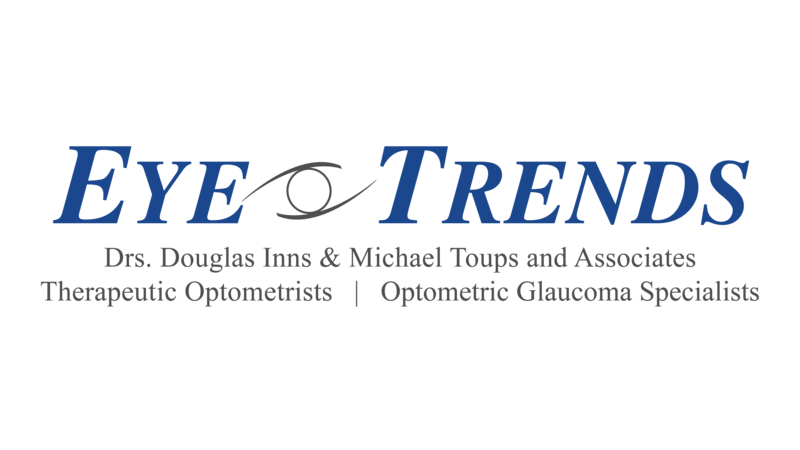 The Eye Trends office in Spring offers outstanding customer care as well as an amazing selection of eye wear for their patients. Whether you are looking for glasses, contacts or kids eye wear, the team in Spring are ready to help you get the perfect fit to match your needs and your lifestyle. Why choose Eye Trends in Spring? ✔ You don't need to travel to find professional service- it's right here in Spring! Eye Exams You Can Trust! Your comprehensive eye exam in Spring, TX, will be comfortable, efficient, and precise! What more could you ask for? It is recommended to visit your eye doctor regularly (every one to three years) for comprehensive eye exams and annually after age 60. Your Spring eye exam will inspect ocular health, including intraocular pressure (glaucoma screening) and corneal health. In order to assess the tissues at the back of your eye, such as your retina and optic nerve, we may apply dilating eye drops. We perform all children’s eye exams gently, customizing the tests to match your kid’s age, eye history, risk factors, and health condition. Children’s eyes grow quickly, and regular eye exams are essential! 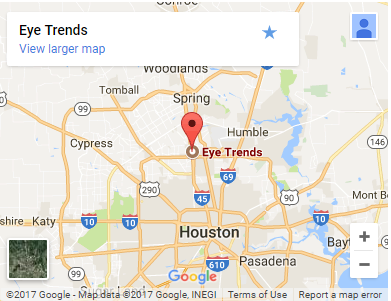 What should you expect from your contact lenses eye exam in Spring, TX? Whether you are a contact lenses newbie or you’ve been wearing them for decades, you need a contact lenses eye exam. This specialized evaluation includes several tests that aren’t usually done during routine vision testing or eye exams for eyeglasses. Once your contact lenses eye exam in Spring is finished, we will give you a set of trial lenses and provide instructions about insertion and maintenance. Our eye doctor will check the position and movement of these lenses in your eyes. 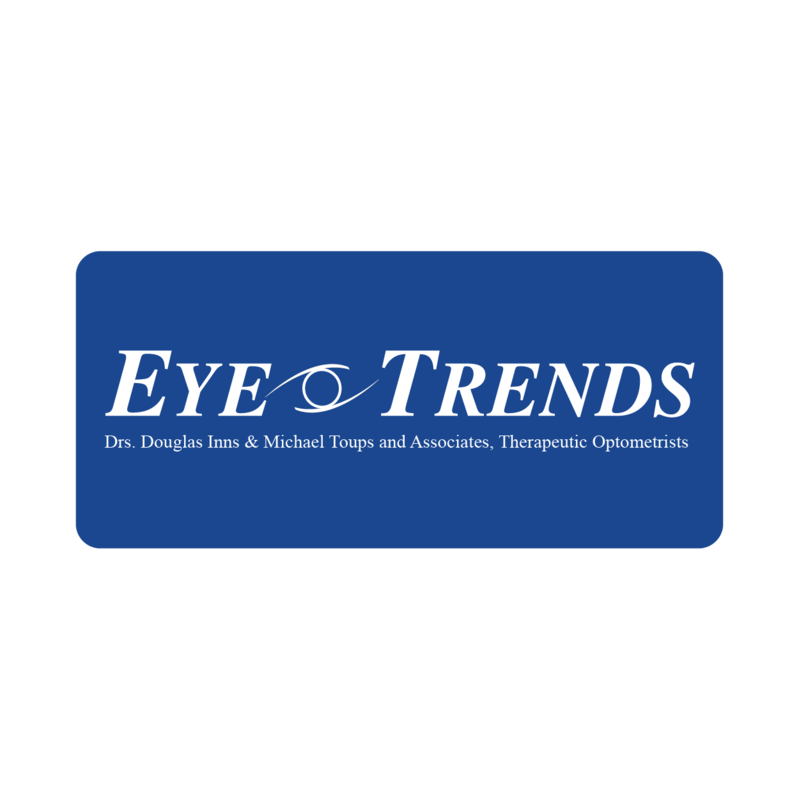 At Eye Trends, we are here to serve you with crisp vision – whether you need a comprehensive eye exam, treatment for eye disease, or new designer frames to upgrade your look! Our optometrists welcome patients of all ages, and we will personalize your eye exam to meet your unique needs. In order to ensure that you benefit from precise diagnoses and advanced treatments, we keep our office up-to-date with the latest optometric technologies, such as the non-dilated Optomap Laser Retinal Scan. Need new eyewear? Our opticians will help you to select the perfect pair of stylish frames, whether you favor a bold, high-fashion appearance or an understated, conservative image. We stock a diverse array of designer labels, and we don’t compromise on quality because we want your glasses to last. If you wear contacts, you can replenish your supply from our wide selection of premium brand-name contact lens manufacturers. If your prescription isn’t current, please schedule an eye exam and contact lens fitting in advance in our Spring, TX, office. And while you’re in the area, we encourage you to check out the sites of Spring! Spring is located within the district of Houston and is a part of the Houston-Woodlands-Sugar Land metropolitan area. Just north of Downtown Houston, this neighborhood encompasses the quaint Old Town district, as well as parts of Harris County and southern Montgomery County. We love the picturesque, suburban atmosphere of Spring, along with the many fun attractions within easy reach. The streets of this area are filled with cafes, galleries, and boutique shopping. It’s the perfect place to spend free time – bite into an old-fashioned burger while listening to live music at Puffabelly’s (in a fantastic old train depot), or enjoy genuine Texas barbecue at Corkscrew BBQ. Watch out for festivals, such as the outdoor Market Days in Preservation Park. One of the best ways to experience Old Town Spring is by joining a haunted ghost tour, offered year-round. Spring is home to lots of sprawling farmland, such as the Old Time Christmas Tree Farm and Atkinson Farms. The activities vary with the season, with a Pumpkin Patch in October, Christmas Trees in December, and strawberry-picking when they’re red and ripe. Pundt Park is a nice, relaxing place to soak up the Texas rays in Spring. There are paved paths through wooded areas along Spring Creek, and a great dog park for your four-legged friends. Wet ‘n’ Wild SplashTown was renovated in 2014, making it into the largest waterpark in Houston. There are rides to thrill all ages, and it’s a convenient place for Spring residents to cool off. For a different type of wild activity, flip into safari mode and visit the TGR Exotics Wildlife Park. The collection of exotic and endangered animals is eye-popping, with over 100 animals of more than 25 species! 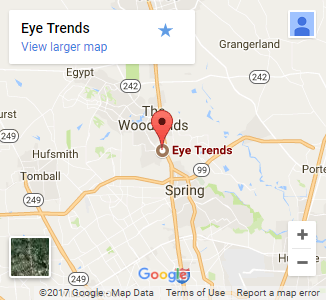 Last, but certainly not least, add our Spring office of Eye Trends to your list of essential sites to visit in the area! From Old Town Spring: (9 minutes) Drive west on Main St toward Border St and then continue onto Spring Cypress Rd. Turn left onto Lexington Blvd and then right onto E Louetta Rd. E Louetta Rd turns slightly right and becomes Louetta Rd. 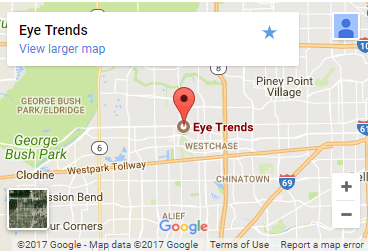 You will see Eye Trends on the right. From Puffabelly’s: (9 minutes) After enjoying a great meal, head east on Main St toward W Hardy Rd. Turn right onto W Hardy Rd and then right onto E Louetta Rd. E Louetta Rd turns slightly right and becomes Louetta Rd. Our optometrist will wait for you on the right. From Old Time Christmas Tree Farm: (9 minutes) Go east on Kleb Rd toward Spring Cypress Rd. Turn left onto Spring Cypress Rd followed by a right onto Klein Church Rd. Then turn left onto Louetta Rd and continue straight to stay on Louetta Rd. We will be on your left. From Wet ‘n’ Wild SplashTown: (8 minutes) After your day of fun, drive southwest on Splash Town Dr and turn right toward N Fwy Service Rd. Turn left toward N Fwy Service Rd and make a slight left onto N Fwy Service Rd. Head right toward Louetta Rd (signs for Louetta Rd W). Turn right onto Louetta Rd and follow it as it turns slightly right and becomes Louetta Rd. 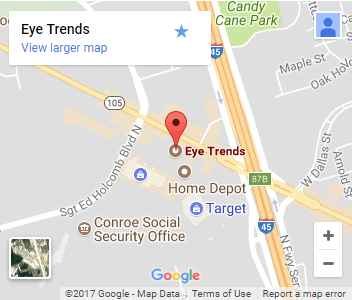 Our eye care clinic is on the right.